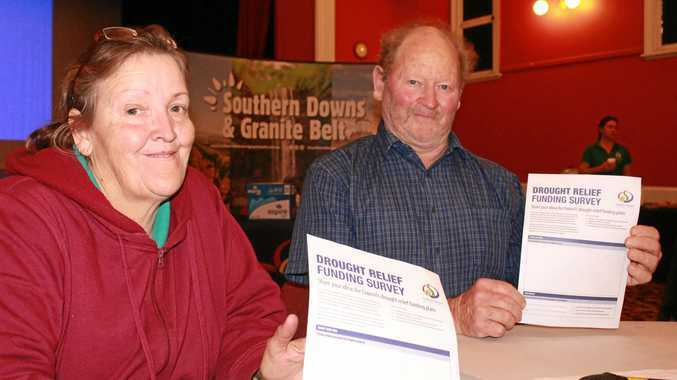 CALLS to support urban residents left unemployed because of drought echoed among responses to the Southern Downs Regional Council's drought relief survey. Residents shared in discussions over the allocation of $1million in federal drought funding at a public forum on Tuesday. While many agreed money should go directly to farmers in the form of cash handouts, others drew attention to farm workers who lived in urban centres and can't access Centrelink's farm household allowance. "You have got people in the town who go out on jobs in the country, but the farms can't keep them on because of the conditions,” John Aspinall said. With numerous friends in the farming industry, Mr Aspinall was sympathetic towards the struggles they were facing. "They have let everyone go and they can't afford to have their staff on, so they are doing everything themselves,” he said. Warwick resident Liz Johnson suggested the council spend money on incentives to help farmers employ more workers. "I think they should give them a cash incentive to go to the farms to help out,” she said. She said many farmers couldn't afford to take the time off the farm to attend the forum. "Farmers are too busy doing what they are doing, or they don't have the money to pay for the fuel to come into town,” she said. 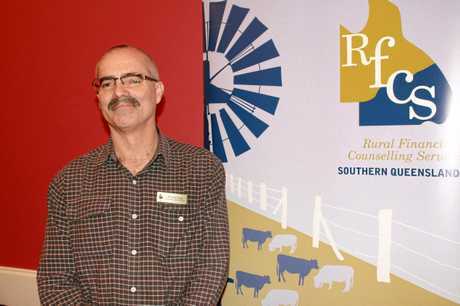 But a rural financial counsellor who attended Tuesday's forum said if it helped even one farmer access support, it was worth it. "Of the people coming in here today, not all of them know about the services that are available,” RFCS counsellor Micheal Fagg said. Massie farmer John Petersen said speaking to councillors directly had been valuable. "Council have people on their staff who are not compassionate with the problems we face,” he said.